Here we are–the very first Wednesday Writing Prompt! I’m excited to get back into the habit of writing fiction. And with you lovely people by my side, I think it will be lots of fun. 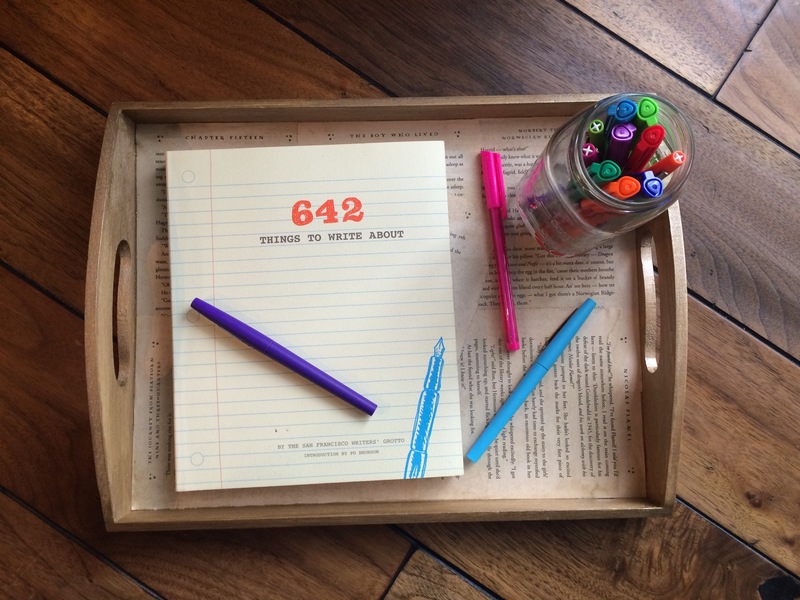 This week’s writing prompt is from 642 Things to Write About by the San Francisco Writers’ Grotto and Po Bronson. I’ve had this book for two years and have only done ONE writing exercise from it. It’s time to put this book to good use. Go ahead–get writing! Write whatever comes into your head and just let the words fly. Don’t worry about editing. Just write. And then share your scene or story with us on tomorrow’s post. Lovely first prompt! I’ll probably write mine for Friday since I’ll be posting about NaNoWriMo anyway! I’ll try to keep it short 😉 Can’t wait to see what you write for this!